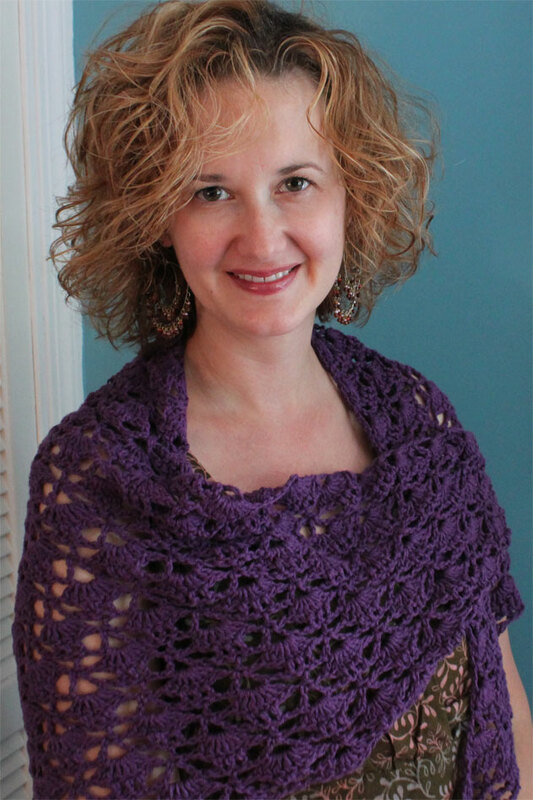 I recently finished this crocheted shawl for myself. I don’t even remember how long ago I started this project–maybe 18 months ago? I kept it in my car to take in with me when I needed something to do in waiting rooms or boring places. 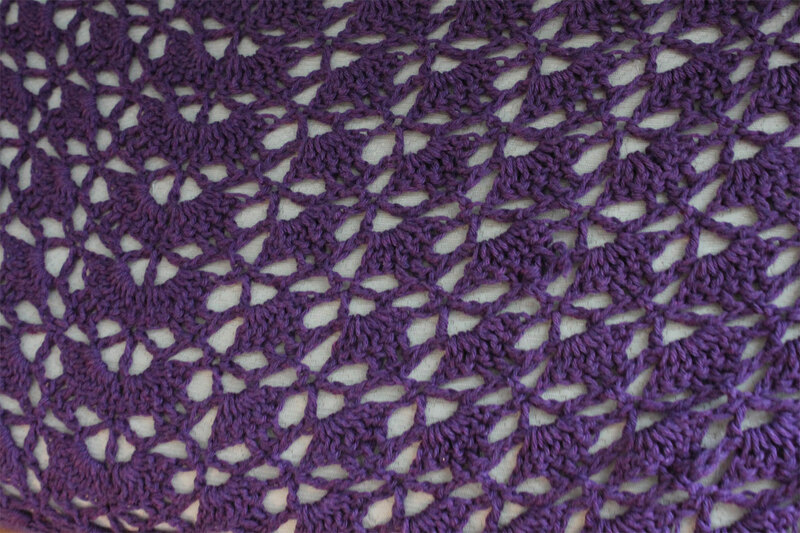 Then I lost the paper pattern I’d printed from the internet and abandoned the project for a while, searched on Ravelry but couldn’t find it again, then finally came back to it and decided I was just going to need to figure it out or frog it, so I figured it out. Next the project sat in a bin under my sewing table for another month or so while I put off weaving in the ends (oh procrastination! ), until one chilly morning recently I realized I needed it because there was yogurt or something smeared on the only cardigan I owned that matched my dress, so I threw it on as it was and wore it off to my Sunday School, where I sat quietly and wove in the ends in the back row.